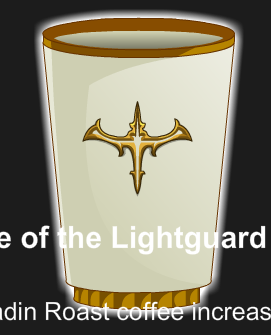 Description: This delicious Paladin Roast coffee increases the damage you deal against undead enemies, and also buffs you defense against the undead. (food items must be equipped in oder to be used from your Action Bar!). Stacks up to 5 99. Used in the 'A New Recruit' quest.